Barter Books : Army Council. 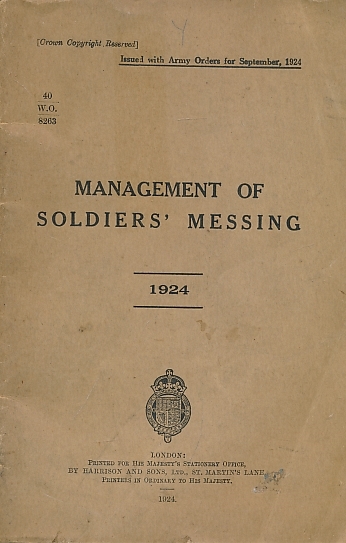 : Management of Soldiers' Messing. First Edition; Published Date: 1924. G: in Good condition without dust jacket as issued. Stapled hinges rusty.